Fisher & Company are a family firm established in 1982 manufacturing and supplying Street Lighting, Outdoor Power Supply and Traffic Management products to Local Authorities & Highways Agencies, Electrical Contractors and Wholesalers across the UK and abroad. From our factory in Somerset we manufacture high quality Feeder Pillars, Column, Wall and Pole Brackets, Keys & Accessories along with LED Pedestrian Crossing & Refuge Equipment and our NEW Through Belisha Beacon. 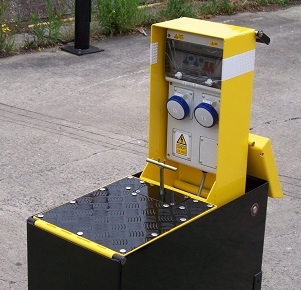 We make industry beating Groundworking Tools – BS EN 60900 Certificated with a 12 month guarantee. We also make bespoke products to customer’s requirements. Our rigorous, traceable, in-house quality assurance systems with staff training and assessments on a regular basis ensure the continued high quality of our products is maintained. We have a motivated workforce who take great pride in the products we produce and the company as a whole, resulting in excellent quality and service for you, our customer. We now have a comprehensive online shop enabling you to identify and purchase products quickly. Go to www.feederpillars.com to see more about our range and click on the Shop icon to begin your purchase. You can still place an order or request a quote via email, fax or phone, we are here from 9am to 5pm Monday to Friday. We are located within Somerton's Business park opposite KPL. You'll notice us by the flashing Belisha Beacons on our forecourt.